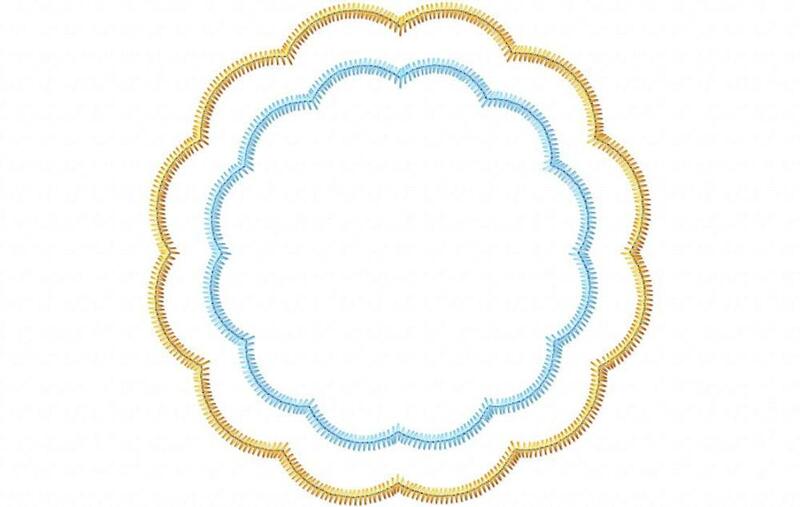 Zig Zag Double Scallop Circle Applique - 4 Sizes! 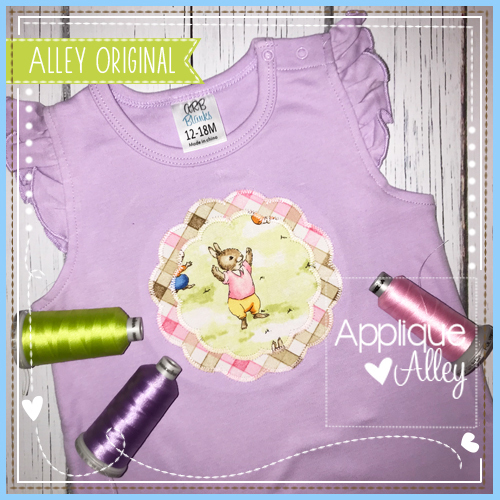 These are quick to stitch and great for patterned fabrics. 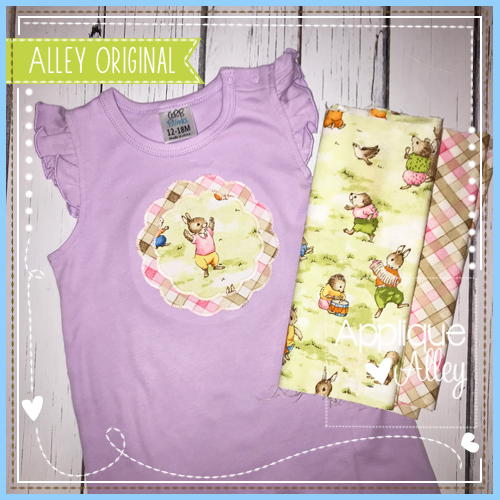 The bunny shown is from the fabric used. 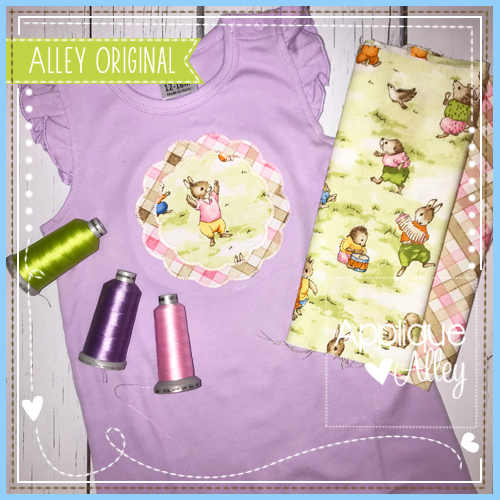 Blanket Stitch Double Square Applique - 5 Sizes! Blanket Stitch Double Rectangle Applique - 8 Sizes! Zig Zag Double Circle Applique - 4 Sizes! 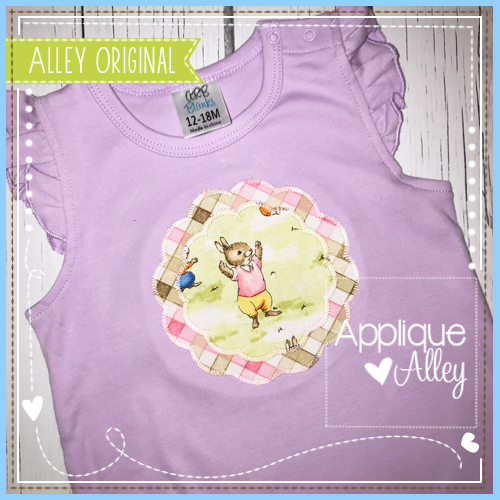 Simply Sweet Crawfish Applique - 4 Sizes! Finish Size 3.93" x 3.92"
Finish Size 5.08" x 5.07"
Finish Size 6.24" x 6.23"
Finish Size 7.26" x 7.25"